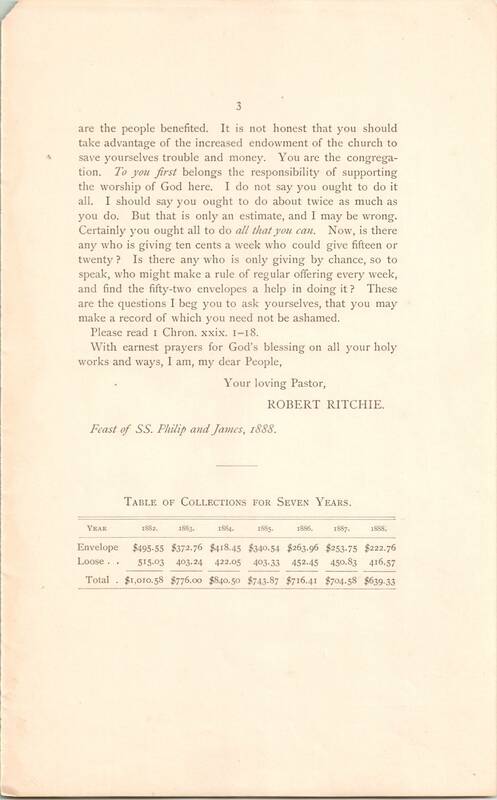 This entry was posted in Church of St. John Chrysostom and tagged Archives of the Diocese of Pennsylvania, North Philadelphia, Robert Ritchie on April 14, 2018 by mjk38. 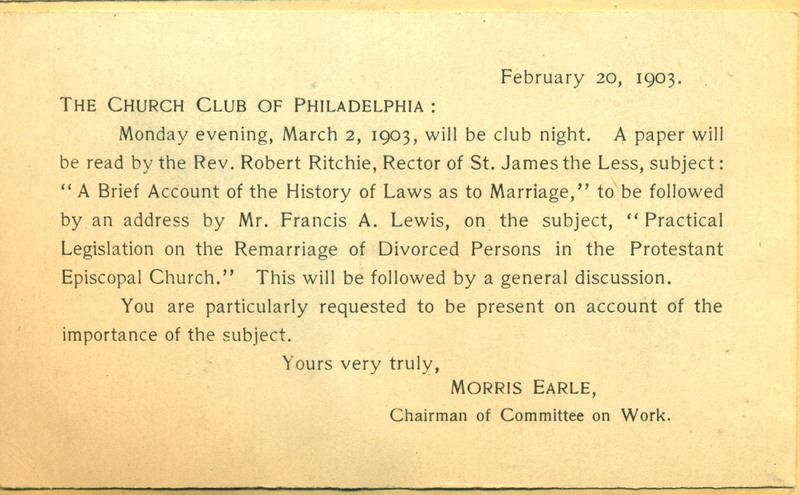 This entry was posted in Church Club of Philadelphia, Church of St. James the Less and tagged Archives of the Diocese of Pennsylvania, Francis A. Lewis, Robert Ritchie on March 10, 2017 by mjk38. 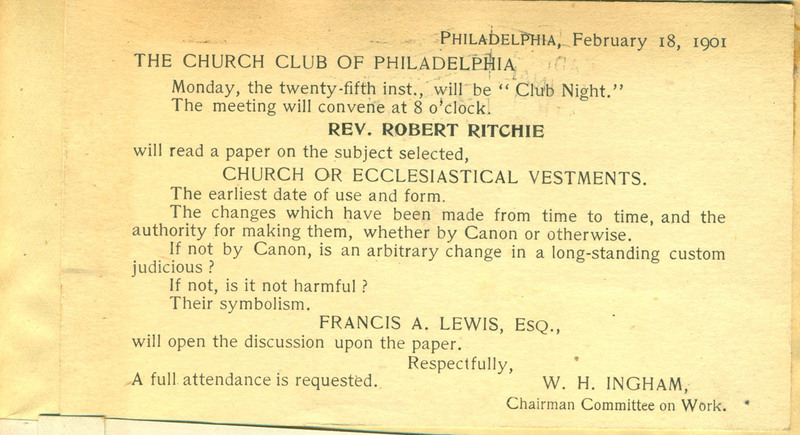 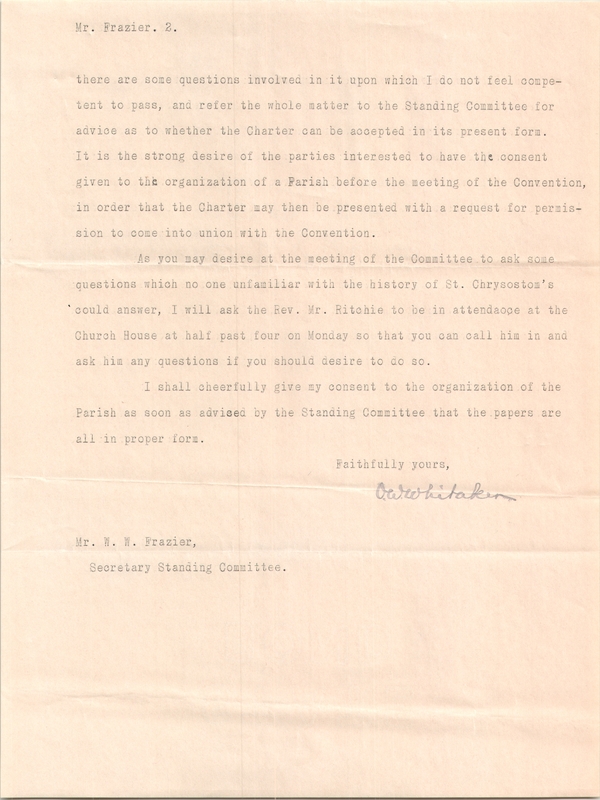 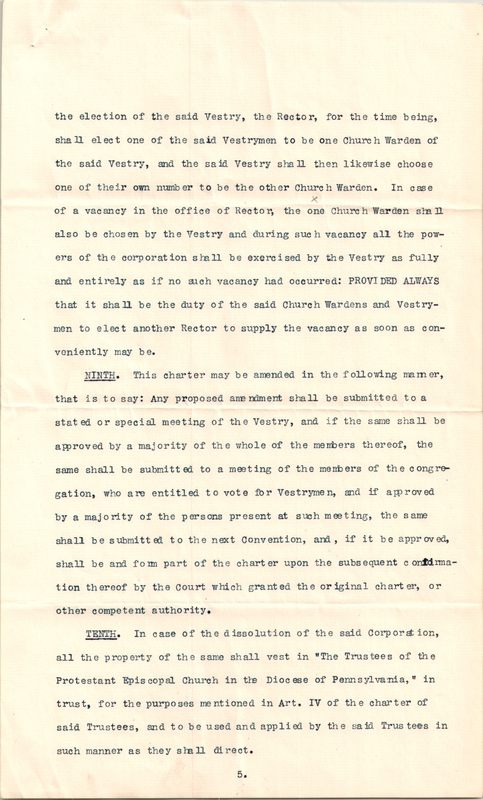 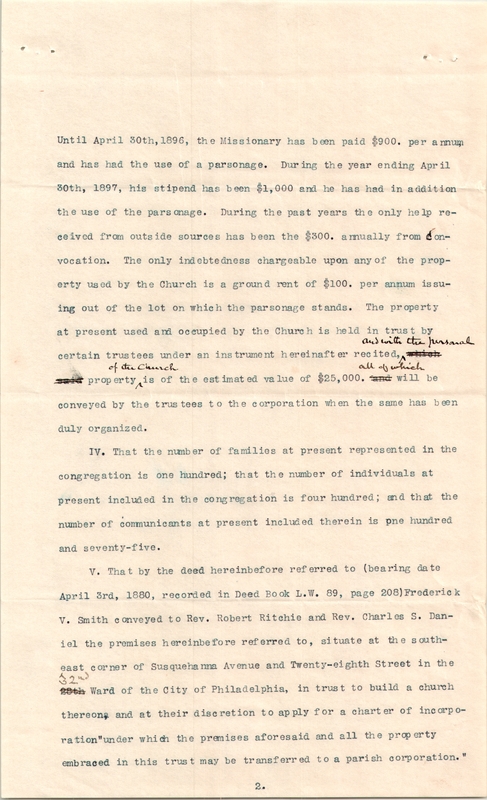 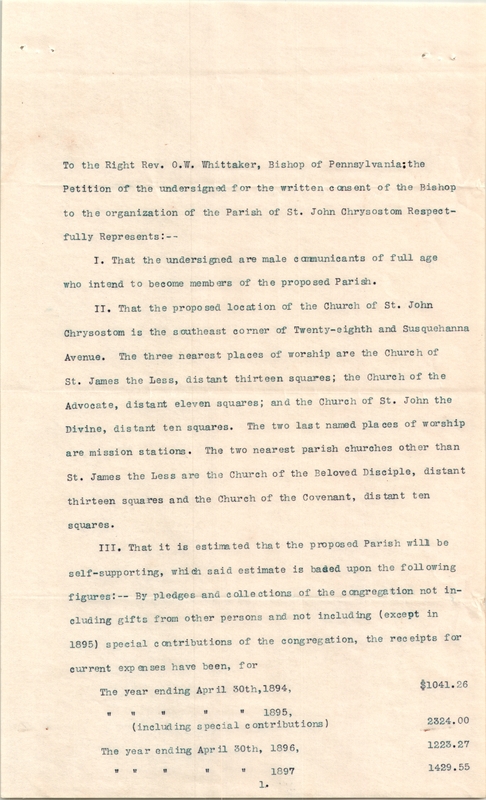 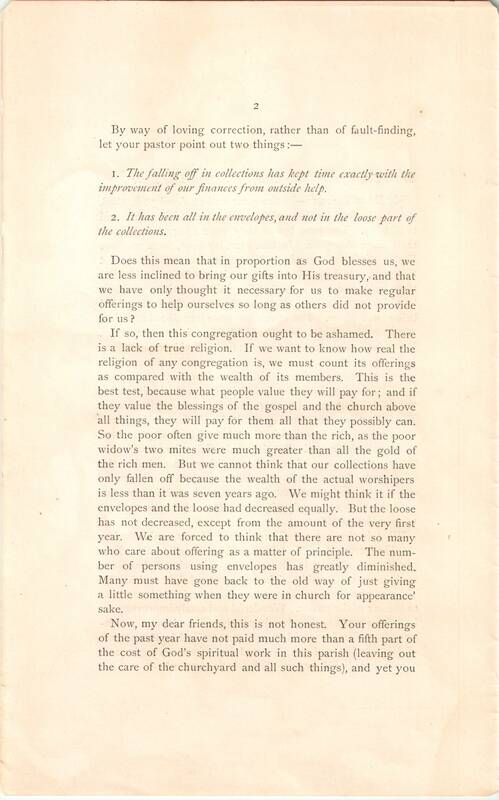 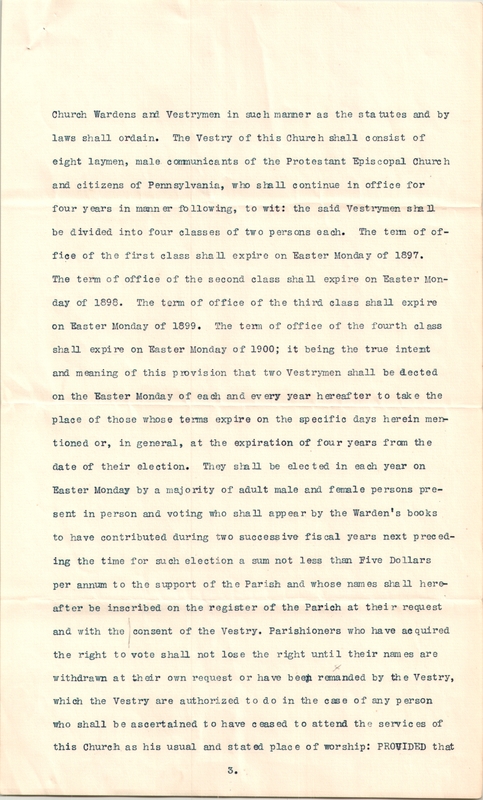 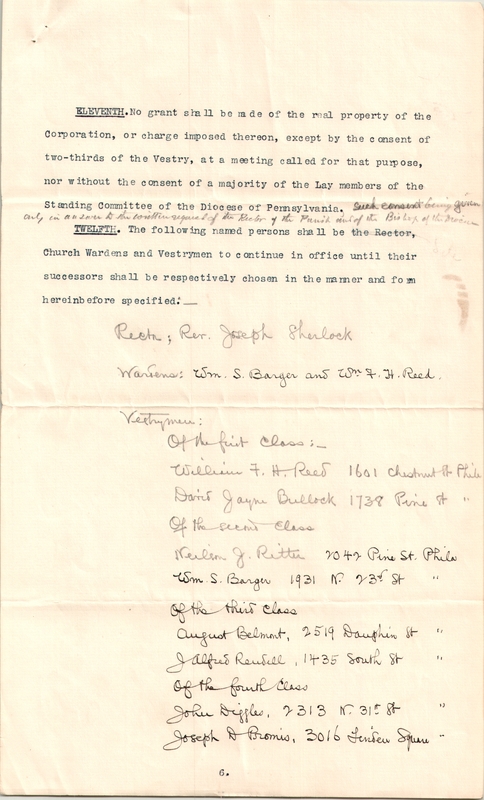 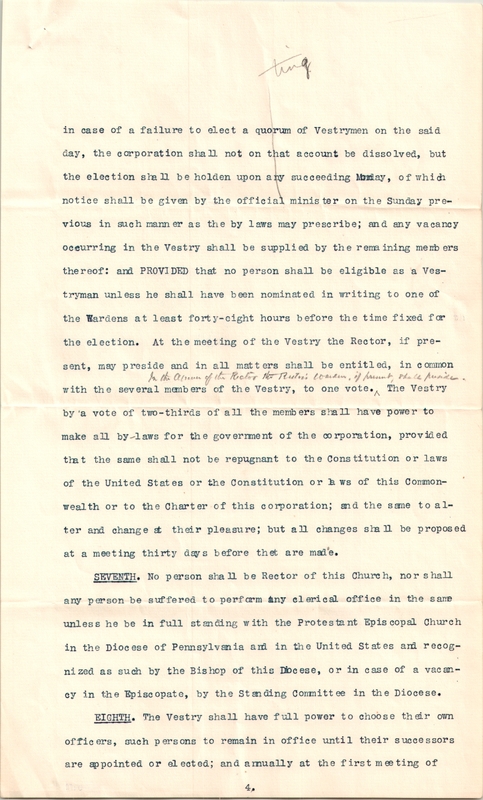 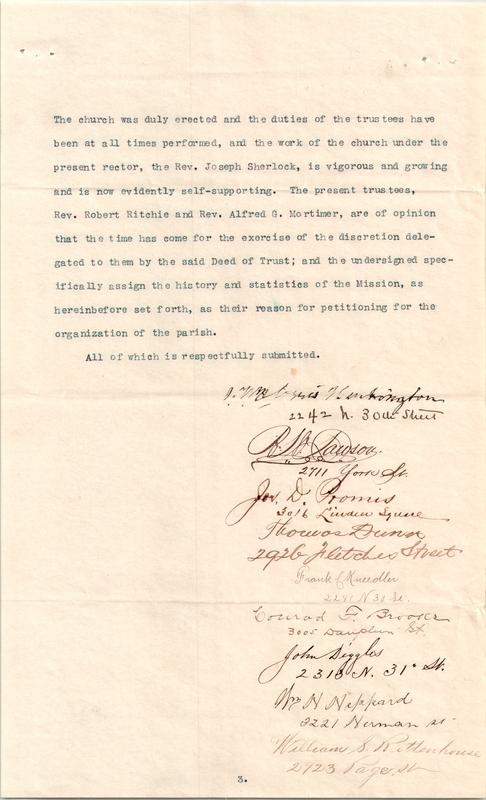 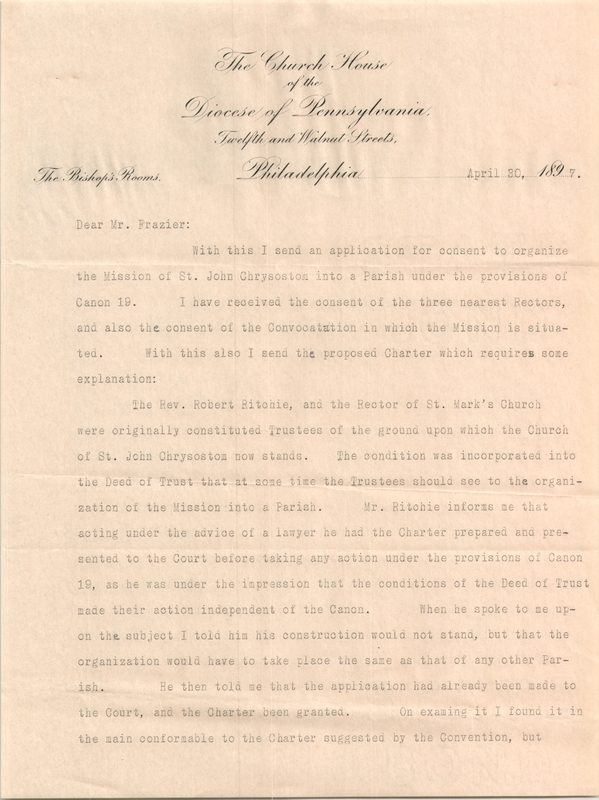 This entry was posted in Church of the Evangelists (Southwark), St. Mark's Church (Philadelphia) and tagged Anglo-Catholic Parishes, Anglo-Catholics, Catholic Club of Philadelphia, Center City, Clerical Union for the Maintenance and Defence of Catholic Principles, Henry R. Percival, Rittenhouse Square, Robert Ritchie on June 30, 2016 by mjk38. 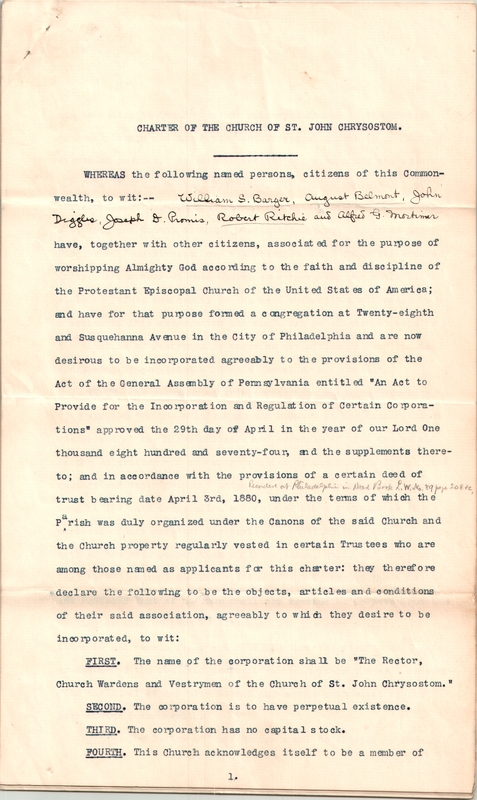 This entry was posted in Church of the Annunciation and tagged Anglo-Catholic Parishes, Daniel I. Odell, H. Page Dyer, James Clayton Mitchell, John J. Kerr, Joseph Sherlock, Maurice L. Cowl, North Philadelphia, Philadelphia Times, Robert Ritchie, Stewart Stone, William Bernard Gilpin, William L. Hayward, William McGarvey on October 9, 2015 by mjk38. 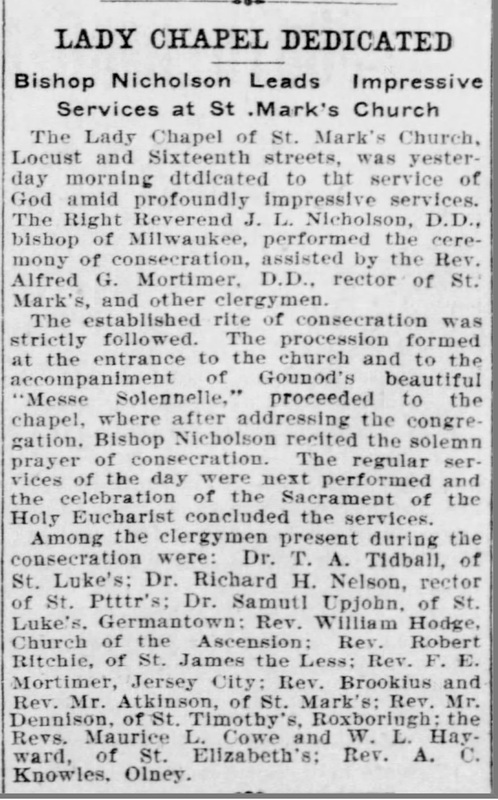 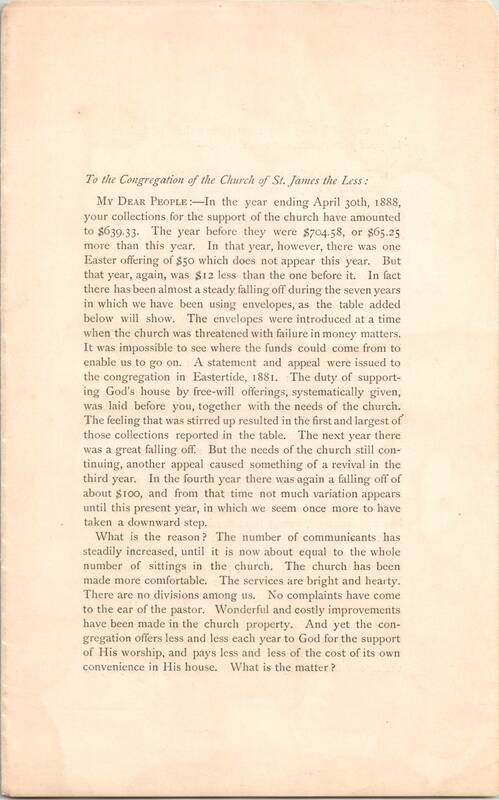 This entry was posted in Church of the Evangelists (Southwark) and tagged Alfred G. Mortimer, C. W. Robinson, Daniel I. Odell, George F. Seymour, George H. Moffett, Isaac L. Nicholson, Maurice L. Cowl, Robert Ritchie, South Philadelphia, William McGarvey, Williams Stevens Perry on September 27, 2015 by mjk38. 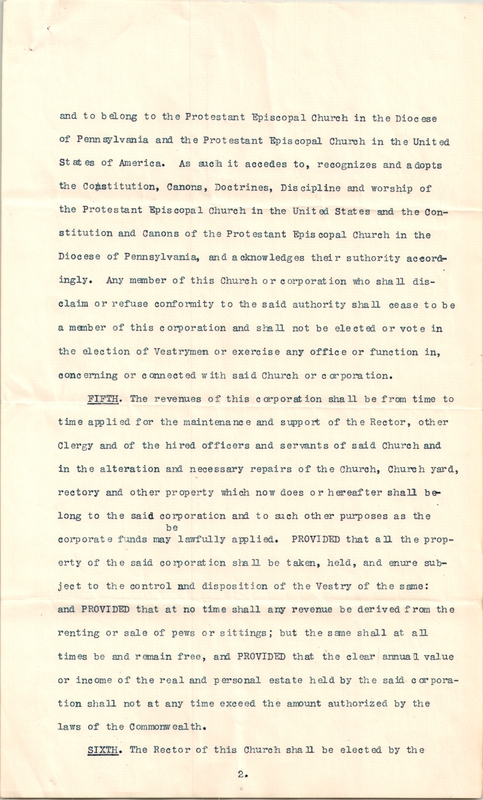 This entry was posted in Church of St. James the Less and tagged Allegheny West, Anglo-Catholic Parishes, East Falls, Robert Ritchie on May 9, 2015 by mjk38.